Alcohol-impaired drivers continue to be a leading cause of fatal accidents in Iowa and other parts of the United States. A brief review of the number of alcohol-related crashes in the U.S. and Iowa in the year 2013 follows. Number of Alcohol-Related Accidents in the U.S. According to data provided by the National Highway Traffic Safety Administration, there were 10,076 people killed in alcohol-related traffic accidents in the United States and Puerto Rico in 2013. Thus, every 52 minutes, a drunk-driving fatality occurred. Sixty-five percent of those who died in alcohol-related wrecks in 2013 were impaired drivers with a blood alcohol concentration (BAC) level of .08 percent (the legal limit) or higher. Twenty-seven percent of those who died in the car accidents were vehicle occupants: 16 percent were riding with the impaired driver; 11 percent were occupants of other vehicles. Non-occupants (pedestrians, cyclists, etc.) comprised eight percent of all alcohol-related driving fatalities in 2013. Tragically, many of the victims of alcohol-related traffic crashes in 2013 were children. To be sure, a total of 1,149 children under the age of 14 lost their lives in alcohol crashes. The majority of drinking and driving accidents (33 percent) involved an impaired driver with a BAC of .08 percent or higher who was between the age of 21 and 24 years old. Drivers between the ages of 25 and 34 were the second most-common age group in alcohol-related crashes (characterizing 29 percent of impaired drivers). In Iowa, there were 317 fatal accidents in 2013. Thirty-two percent of these crashes involved a driver with a BAC of .08 percent or more, resulting in 94 alcohol-related fatalities and 82 alcohol-related accidents. As a note, there were also 38 drug-related crashes, resulting in 40 drug-related traffic deaths. 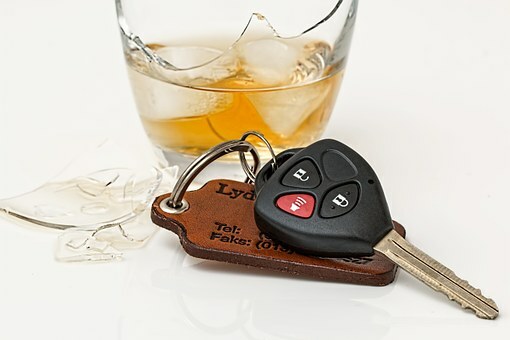 If the drunk driver who caused the accident has insurance, then victims can file a claim with the drunk driver’s insurance company, his or her comprehensive and collision insurance in Des Moines can handle it. However, victims also have the option of filing a lawsuit directly against the drunk driver. To file a claim against a person, you will have to prove negligence. Typically, proving negligence in a drunk driving case is very straightforward, especially when there is proof of intoxication (BAC test results). Walker, Billingsley & Bair know that these statistics upset you as much as they do us. If you have been injured in an alcohol-related car accident you can set up a free case consultation by contacting us today at 888-435-9886.